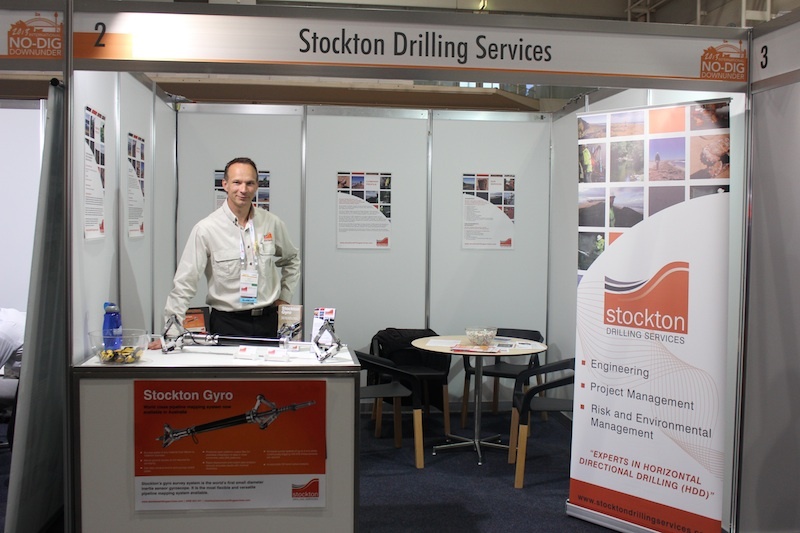 Stockton Drilling Services had booth at the recent International No-Dig Down Under, which was held at the Sydney Convention and Exhibition Centre. The exhibition was run by the Australasian Society of the International Society of Trenchless Technology (ISTT) to promote trenchless applications and techniques from the world over and to show first-hand the latest the industry has to offer. Charles Stockton and Gerd Nehuis were there to man the booth and showcase our services. On show and capturing some interest was our new gyro pipeline surveying/mapping tool, which adds another element to our Horizontal Directional Drilling (HDD) and Trenchless consulting services. We can now provide complete project support including engineering design, project management, HDD quality control (QC), pipeline mapping, risk management and Health, Safety and Environmental (HSE) services. Highlights of the exhibition were catching up with industry personnel from across the globe and seeing the sights of the beautiful Sydney Harbour on the Harbour Cruise.